L&L Special Furnace Co., Inc. Releases a New Four-Page Brochure - L&L Special Furnace Co, Inc.
L&L Special Furnace Co., Inc. has released a new four-page brochure describing our line of general purpose electric heat treating furnaces. The XLE series are highly uniform and controllable electric box furnaces that are widely adaptable to many applications. 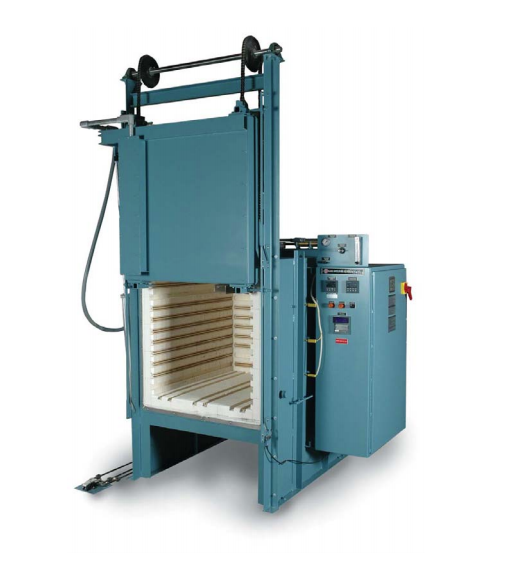 In the heat treating field, these include hardening, neutral hardening, solution heat treating, stress relieving, annealing, aging, precipitation hardening and tempering. In the ceramic field, applications include ceramic bisque firing, thin-film processing, glazing and decorating. Brazing, calcining, drying, melting of glass and metals, glass annealing and bending, enameling and sintering are just some of the other applications that XLE furnaces are used for. Although “standard” configurations are made, each furnace is normally fitted with standard and special options to suit specific needs. These include vertical doors, fans, cooling venturis, vents, special hearths, racks, baskets and loading devices, quenching systems, various controlled atmospheres, retorts, viewing ports, special element alloys, special thermocouples, various kinds of alarms, program controls and recorders. One recent application for these furnaces was for NASA’s Goddard Space Flight Center in Greenbelt, MD. L&L has worked with NASA on this project since the mid-1990s. The primary purpose of this project is to slump glass in a very controlled fashion. A piece of glass is placed on a mandrel inside the furnace and heated to 1,400°F. The glass is then removed from the furnace and covered in a reflective gold filament to form a mirror. Next, the mirror is used in conjunction with others to form a mirror assembly, which is placed on a telescope and deployed into space. The telescope is sent into deep space so that it can detect X-rays that exist from black holes, dark matter, neutron stars, etc. In 2004 and 2005, NASA purchased two 36-cubic- foot model XLE3648 furnaces used in conjunction with the other equipment to provide R&D mirrors for the Constellation-X space telescope. With this development, NASA discovered that by uniform precise heating, we could control the magnitude and degree of slumping. This laid the foundation for NASA’s ability to meet an extremely high production criteria for the Constellation-X project. A more recent requirement called for 10 model XLE3648 furnaces supplied in a six to eight week delivery. L&L’s versatile XLE series furnaces have many control options available, including ramp/soak program controls, temperature recorders and SCR power controls. Process accessories such as inert atmosphere blanketing and manual or powered venting add to the versatility of the XLE series furnace.